Don’t have time to hit the gym but do have time play keyboard warrior for hours on end? That’s okay, you can still get that workout in: just use a Cubii ($300), now on Kickstarter. 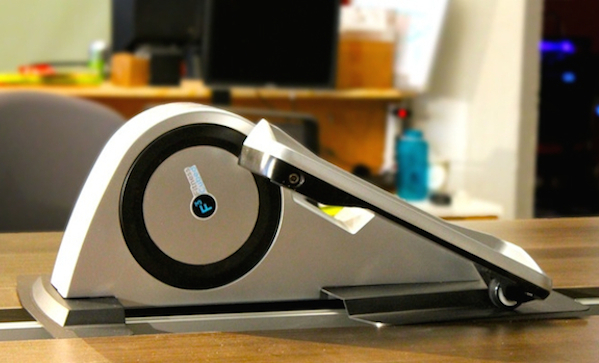 It’s basically an elliptical machine that fits unobtrusively under your desk. It links up with Bluetooth, allowing you to measure your actual activity, but the main thing is you get some exercise in, since even small amounts are better than nothing.